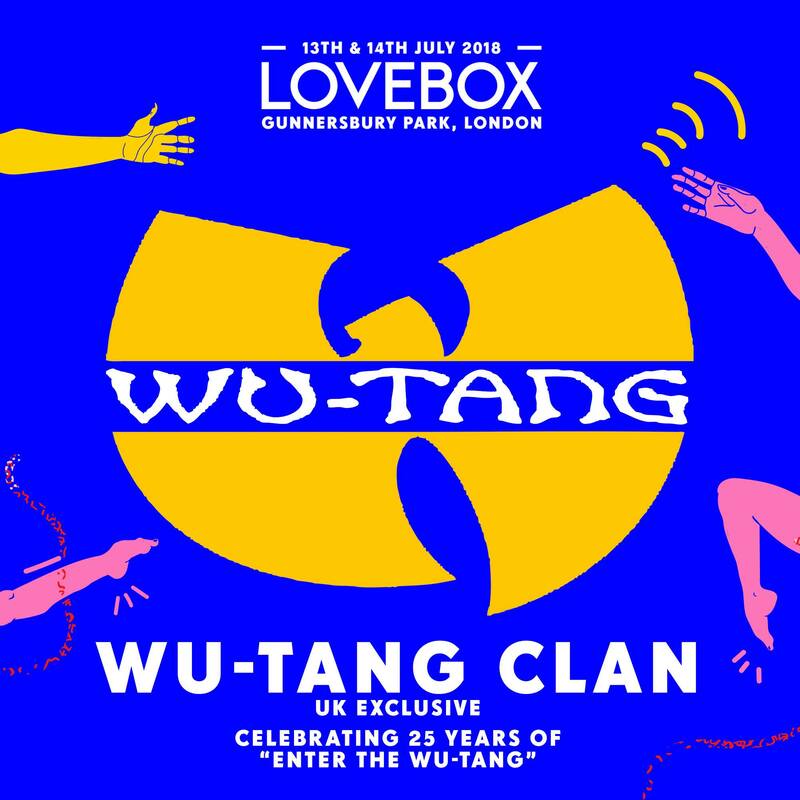 Wu-Tang Clan have been added to Lovebox 2018 in what will be their only UK show of the year. They'll be celebrating 25 years since their debut album Enter the Wu-Tang. Upon its release in 1993, the record received rave reviews from critics and has been regarded as one of the most influential hip-hop albums of all time. The iconic group will perform at the London festival on Friday 13 July, joining the likes of Anderson .Paak, Vince Staples, SZA, Diplo and headliner Skepta. This year's festival will take place in London's Gunnersbury Park instead of its usual Victoria Park. View the full Lovebox 2018 lineup on our guide.